After Bethesda’s incredibly successful revivals of Wolfenstein and Doom, it was only a matter of time before they set their railgun sights on bringing Quake, progenitor of the multiplayer FPS, back to the fore of mainstream gaming with Quake Champions. Treading a careful line between old-school shooter purity and modern-day concessions like character abilities, Quake Champions is increasingly looking like an FPS fan’s dream come true. For some aim down sights goodness, be sure to check out the best FPS games on PC. The team are developing the game exclusively for the PC and are promising the same speed of classic Quake, with unlocked framerates and a refresh rate of 120hz. That should be enough to persuade the pro-players that developers id Software and Saber Interactive aren’t messing about. So in the interest of saving you all some time, here’s a comprehensive rundown of everything we know about Quake Champions while it’s in beta. It might boast character abilities, but it’s definitely still a Quake game. Whatever cues id Software have taken from the unrivalled success of Blizzard’s Overwatch, they’ve been subtle about it – at launch, Quake Champions will feature 12 characters, each one boasting a primary and passive ability as well as distinct armour, health, and speed ratings. 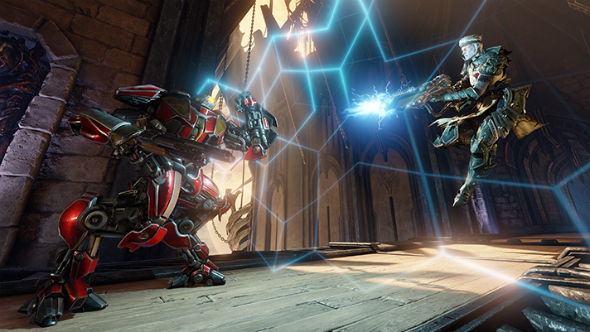 But that’s where the comparison ends: Quake Champions still clings on to relics from the FPS genre’s past like weapon and armour pickups, high-speed movement, and jump pads. Movement and precision reign supreme in Quake Champions, just as they did back in the original – there’s a good reason you can’t play it with a gamepad. 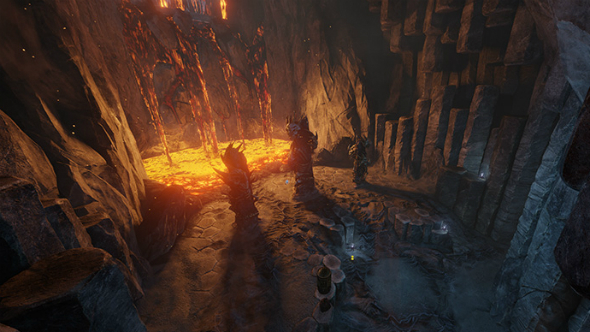 The focus in each multiplayer match is always divided up equally between scrambling for vital pickups, and using them to decimate enemies and up your frag count; abilities are useful extras. Quake Champions is an old-school multiplayer arena shooter first and foremost. We’ve done plenty of fragging over the course of the Quake Champions beta, so be sure to check out our Quake Champions beta review. Eight Champions in a free-for-all brawl. First to 50 frags, or the player with the most frags after ten minutes, wins. 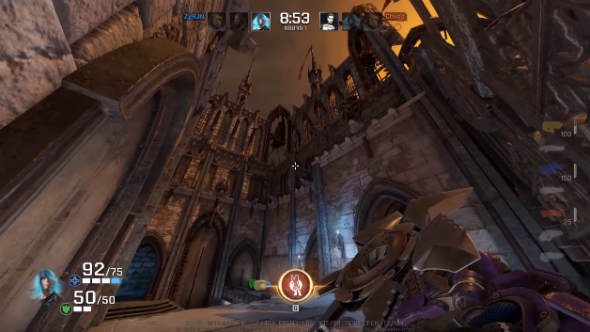 Familiar to anyone who’s played a first-person shooter, Quake Champions’ Team Deathmatch game mode sees two teams of four duke it out in an arena for ten minutes. The winning team is the one with the most frags when the timer runs out, or the first team to get 75 frags. 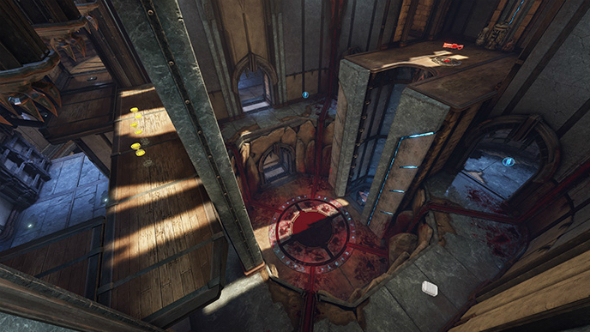 By far the messiest and least Quake game mode in Quake Champions, Sacrifice is essentially capture the flag with a single flag… and that flag is a soul, because this is an id Software game. 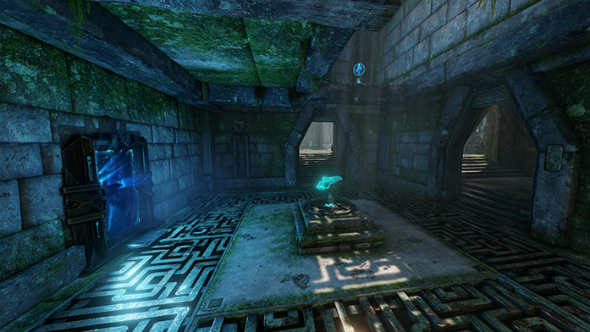 The Soul is neutral and spawns in a central location, teams fight to bring it back to their Obelisk. When the Soul is at a team’s Obelisk that team must then defend the point while a capture metre fills up. Each round runs for five minutes, and the first to win two rounds wins the game. One neat twist: when you’ve got the Soul, you can’t use your Champion abilities. Quake Champions’ Duel mode is a one-versus-one match type primed for Quake’s esports scene. Duel mode has each player pick three Champions in a MOBA-style draft before competing over three rounds – first to win two rounds wins. Rounds can be won be either defeating all three of your opponent’s Champions, or by running down the clock with more surviving Champions than your opposite. 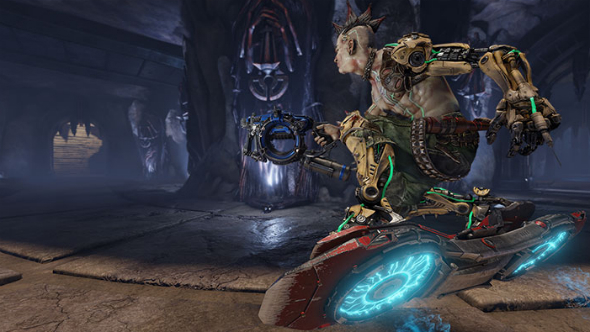 After many months of Quake Champions’ closed beta tests, id Software have finally opened the game’s closed beta up 24/7 for the foreseeable future. The Quake Champions beta will remain closed for the time being, but id Software have promised to keep adding more players as their and when they feel their servers can cope with the strain. If you still haven’t tried Quake Champions, you can register for a beta keyhere. We’ve almost known about the game for a year now, and as such we’ve got Quake Champions trailers and footage aplenty to share with you. Let’s start with the Quake Champions E3 2016 reveal trailer above. It gets the tone and Champion angle across, but it’s not juicy gameplay is it? 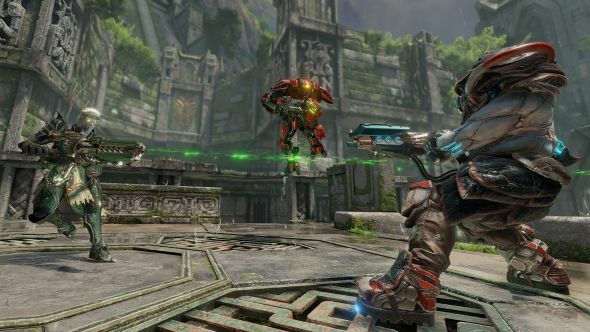 The Quake Champions debut gameplay trailer might not be much longer than a minute, but it’s full of glorious frags, Railgun gibs, and rocket jumping. Watch it below. Showing off a lot of the same endearing qualities as the above gameplay trailer is the Quake Champions closed beta announcement below. 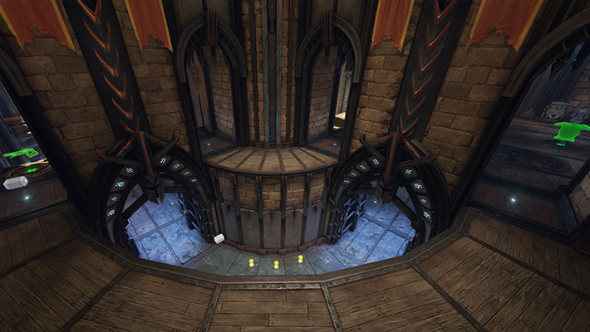 Bethesda are also taking us on a virtual tour of Quake Champions’ arenas over the coming months. The first, which targets the aptly titled Blood Covenant arena, is below. 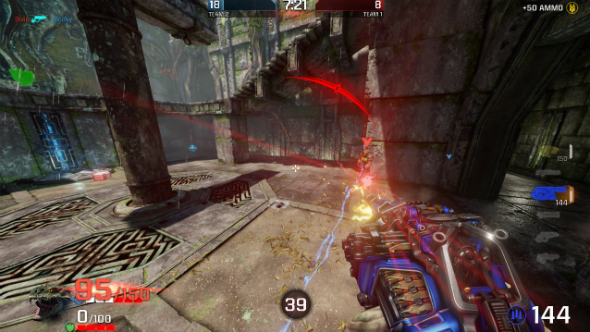 Finally, to get everyone in the mood for the Quake Champions closed beta, id Software have put together this raw slice of pure, frag-filled gameplay. 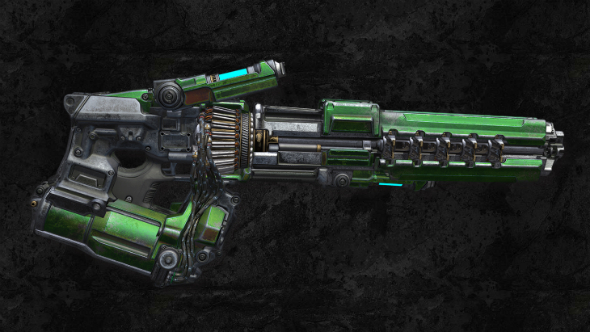 The arsenal of any FPS can be what makes it or breaks it, and Quake Champions weapons look like they’re torn from the same cloth as Unreal Tournament and Doom. They’re big, bulky and they’ve got no time whatsoever for attachments or high-powered scopes of any ilk. 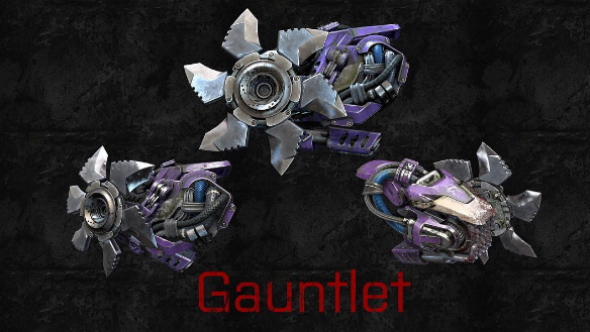 Nothing official has been released about the Gauntlet so far apart from this image from Tim Willits’ Instagram account. It’s likely the Quake Champions’ version of a knife melee attack, except cooler. You know, because Quake. 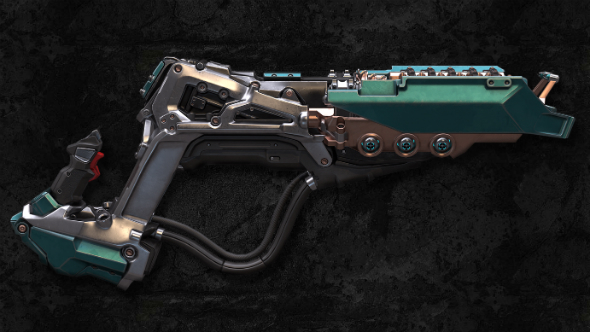 It’s a tool for humiliating your foes, and particularly effective in the hands of Nyx, who can sneak up on enemies with her Ghost Walk ability. 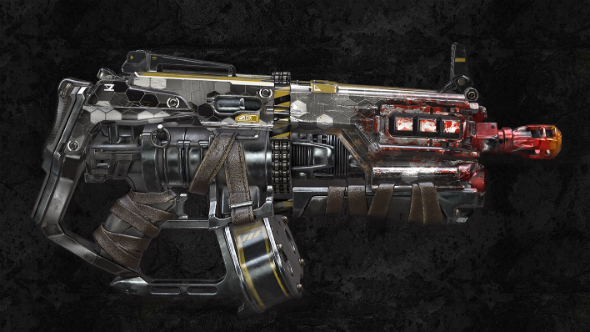 As standard as starter weapons get, the humble machinegun will ensure you’re not totally useless in the arena. The only glimpse we’ve had of it is in the hands of Slash at the beginning of her Champion ability reveal, which you can watch above. 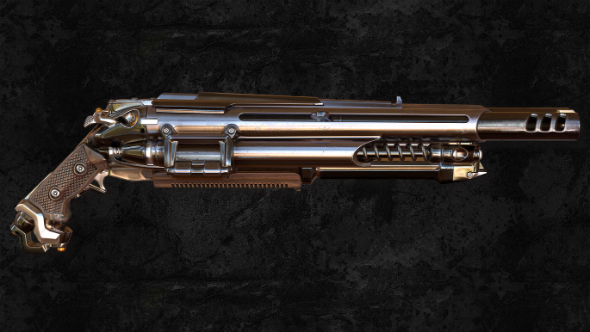 In classic Quake style, you can have a basic shotgun as your starting weapon. 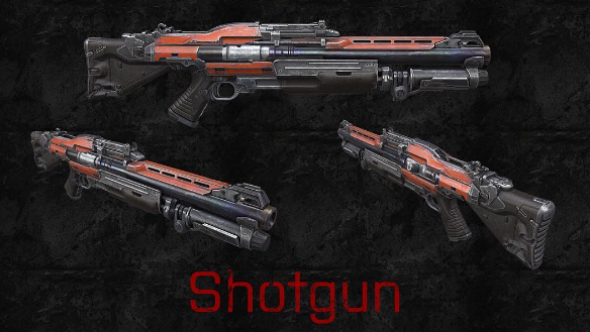 A number of fans have pointed out its resemblance to Rage’s Combat Shotgun, but there’s no telling if it’ll behave similarly as there are no official damage stats for this starter weapon. 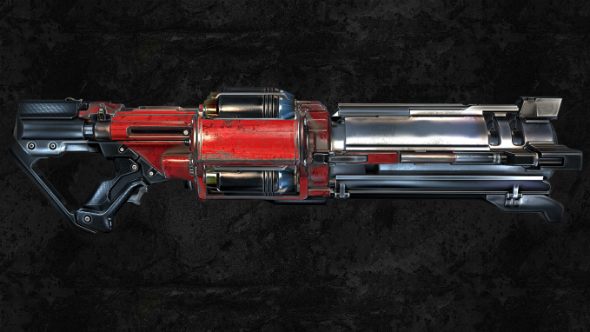 The lesser version of the Super Nailgun, this seems to be the last option for a starter weapon. 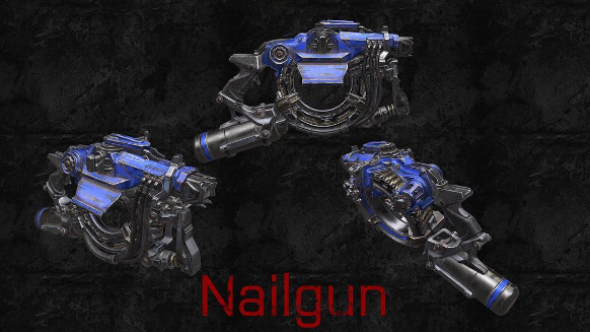 Like its daddy version, the Nailgun is probably going to be a little bit trickier to use than the machinegun, but capable of dealing more damage per second. As you may have noticed, each arena also has an Elder God, although there’s no word on how or if these will affect gameplay at all. Bethesda have their own comprehensive breakdown of each arena on the official Quake Champions site that’s worth looking at if you want to go into the beta fully clued-up. Of course, one of the most significant changes in Quake Champions is right there in the title. So far, Bethesda have only unveiled ten of a promised 12 Quake Champions characters, and while a number of Quake fans have expressed concern about the addition of character abilities and stats to one of the purest arena shooters around, id’s approach is a lot more subtle than Blizzard’s. Each Champion has a Primary ability and a passive one – active abilities have a roughly 30-second cooldown that stays with you even after death, whereas passives are always active. Likewise, Champions also have starting stats for health, armour, and speed, as well as individual caps for how much they can boost each one with pickups. The characters themselves seem to be split up between returning characters from Quake III Arena and brand new ones. 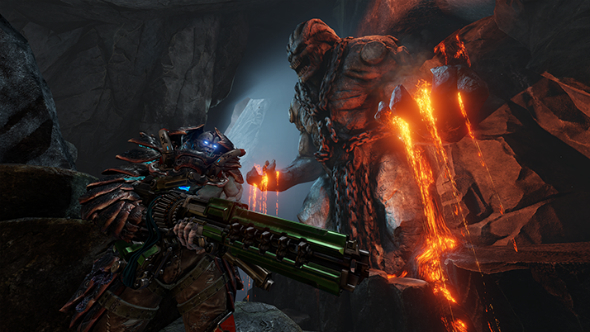 Ranger, Sorlag, Slash, Visor, and Anarki are returning characters, while Scalebearer, Nyx, Galena, Clutch, and Wolfenstein’s leading man, BJ Blazkowiczare Quake Champions debutants. We’ve got a full rundown of every Quake Champions character, complete with stats, lore, abilities, and trailers if you’re particularly interested in how id Software are tackling the Champions component of the game. After plenty of speculation Bethesda and id Software have confirmed that Quake Champions will be a free-to-play game, with the option for gamers to purchase it for instant access to all of the Champions. 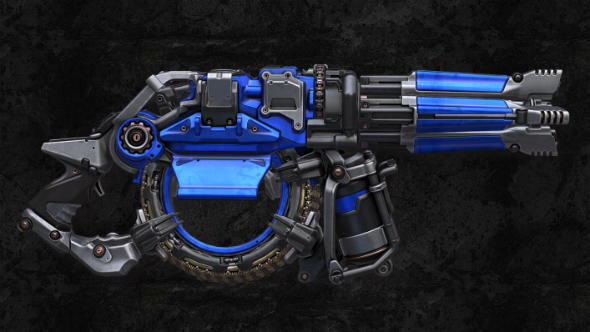 As an offshoot of that business model, Quake Champions will also include Champion cosmetics, loot boxes and weapon skins, ranging from new weapon models to armour sets and shaders. 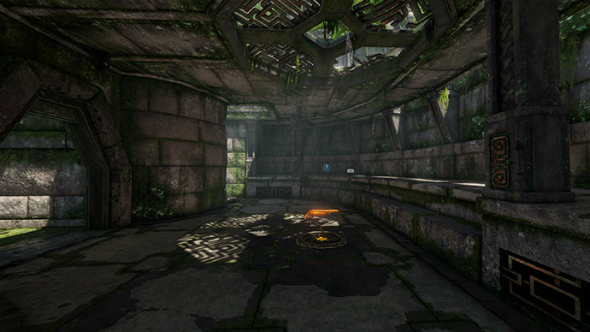 To get access to new Champions without investing actual money in the game, players can earn Favor, Quake Champions’ in-game currency – however Favor only grants you access to a Champion for 24 hours at a time, meaning you’ll have to put some rounds in as Ranger before you can play as your favourite character. It also means you won’t ever have access to more than four or five Champions at a time, unless you’re regularly being named MVP. You can buy Champions individually if you just want a couple of Champions, however, you can also earn them in loot boxes, which can be purchased with real money or Favor. Champions are the rarest item available in a loot box, though, so don’t count on grabbing your favourite ones this way. As for cosmetics, you can buy them for Shards, which you can get by breaking up cosmetics you own. You’ll only get ten Shards per cosmetic though, so you’ll only want to do this if there’s one specific thing you want that you haven’t been able to find in a loot box. That’s every scrap of information we’ve got on Quake Champions for now, but don’t hesitate to check back in as we’ll be updating this page regularly on the road to launch day… whenever that may be.